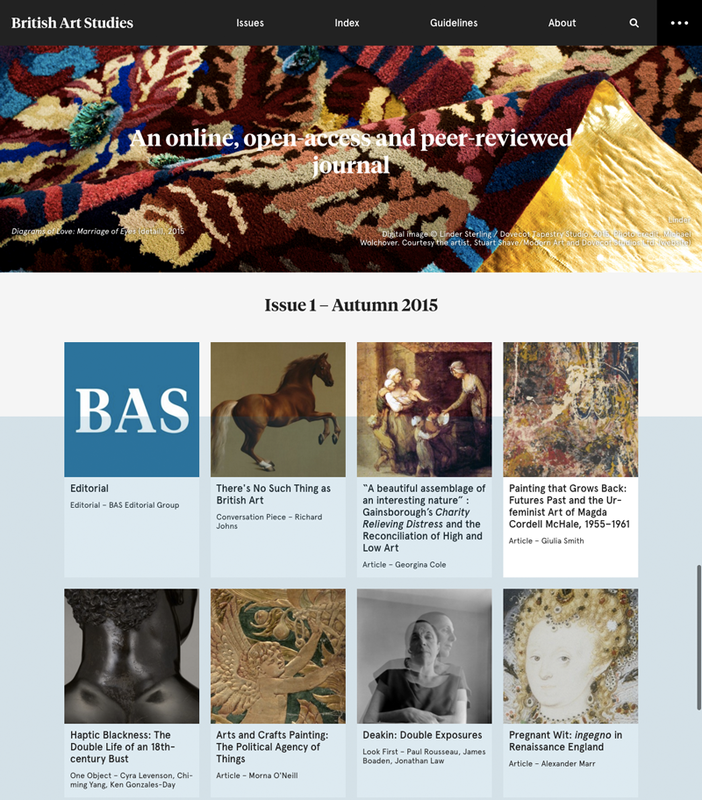 British Art Studies is a new, free, online art journal. The aim of British Art Studies is to provide an innovative space for new research and scholarship of the highest quality on all aspects of British art, architecture and visual culture in their most diverse and international contexts. 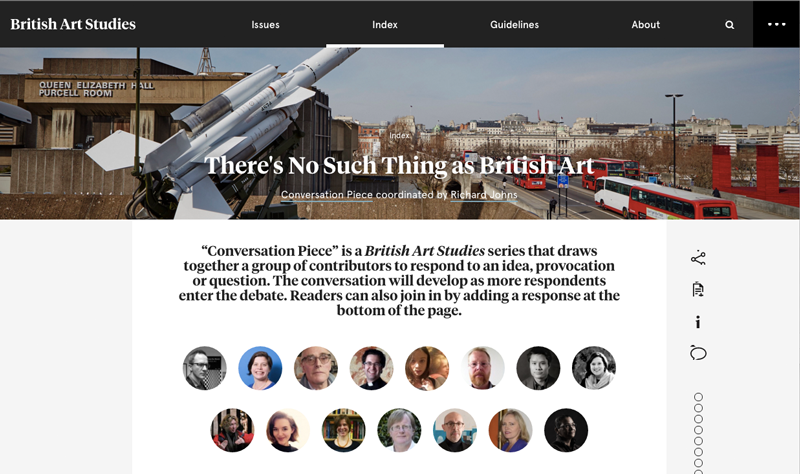 British Art Studies is one of the few completely open access journals in the field of art history, providing a forum for the growing debate about digital scholarship, publication and copyright. Every issue, article, chapter, paragraph and figure published in the journal has been assigned a Digital Object Identifier (DOI). This unique alphanumeric string identifies content and provides a persistent link to its location on the internet. A DOI is guaranteed never to change, so you can use it to link permanently to electronic documents in academic citations with confidence. 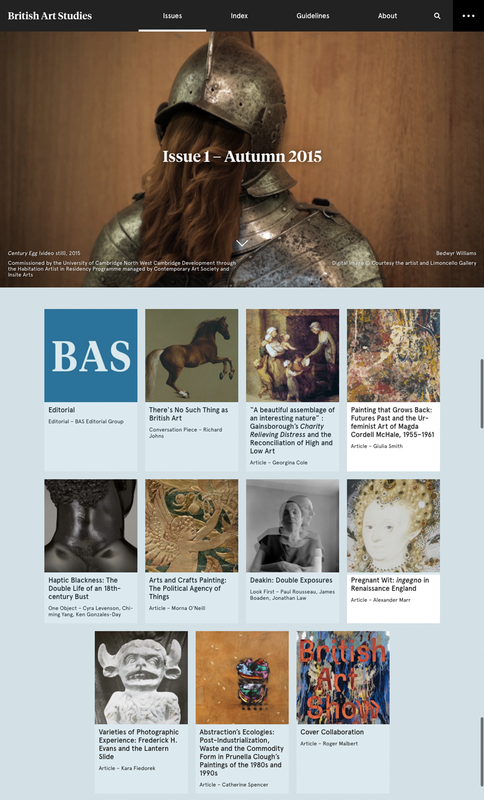 Every DOI published by British Art Studies will begin with the prefix http://dx.doi.org/10.17658. Articles may include single authors discussing an issue, as well as qualified discussion, including a multi-voice panel of experts. General web users can also add comments (using Disquss). British Art Studies is published under Creative Commons CC BY-NC International 4.0 license. If you use any of the content published in British Art Studies it must be for non-commercial purposes and you must give appropriate credit to the author. Qi by Keepthinking is the Integrated Content and Collections Management System that holds all the data published in British Art Studies.